If you frequently find yourself needing to say more than what Twitter's 140-character limit allows, here's some good new - Twitter is reportedly working on a way to let users go beyond the current character limit. 'People familiar' with Twitter's plans say that the new product would allow people to post "long-form content to the service," according to Recode. 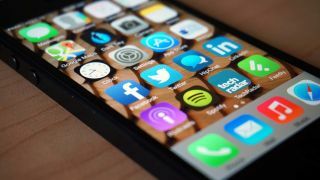 Of course, it isn't clear on what it will look like, or even if it will be a completely new service or a tweak to Twitter itself, but the hope is to bolster growth of the social media. The Wall Street Journal is reporting that interim CEO and co-founder Jack Dorsey is pushing a project that is internally called "140 Plus." The project is basically looking at the different ways Twitter could extend the 140 character limit, but again, there still isn't a clear indication yet if it will be a new product or a simply updating Twitter with a larger character limit. And if it does extend the limit, the question would then be by how much? According to sources speaking to Recode, there has also been discussions about how the 140-character limit is measured, and possibly removing links and user handles from the count. Extending the limit could potentially increase user growth, or at least garner more interest in the service - or it could end up annoying current users who love the limited character space. We'll be getting in contact with Twitter for comment, but we doubt we'll get a confirmation.